I have an old friend who doesn't do cell phones or doesn't do computers. So here I am. He has a Model 121 ... with a problem. 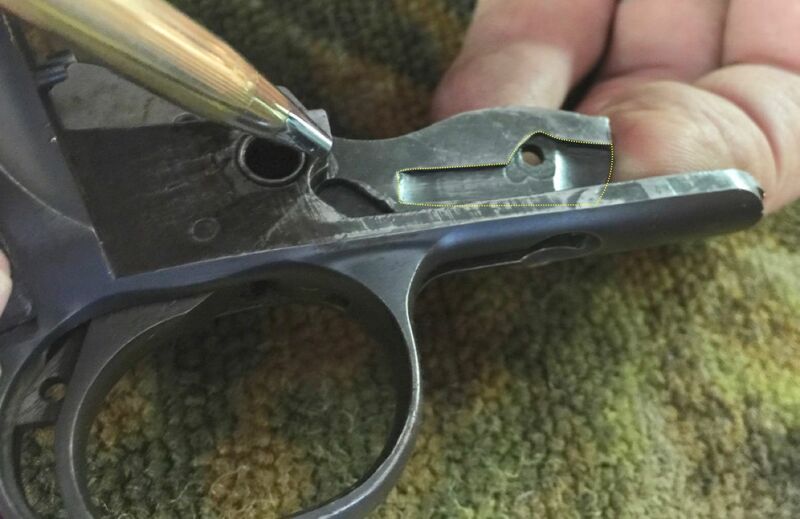 He says he lost a part or parts when he disassembled the rifle several years ago. He is trying to get the gun in working order to hand down to a grandson. I have a couple of pictures. This particular part does not show on any Remington parts schematic in several parts catalogs. Can anyone here help me out and tell me what is missing? Thanks in advance. For some reason the entire picture is not posting. Cut off on the right side.